Following a couple years of relatively weak attendance, the organizers of Interbike are hitting the reset button in an effort to breathe new life into North America’s largest cycling industry trade show. They’re pulling up stakes from Las Vegas—the show’s gritty, glamorous home for the past 20 years—and moving the show northwest to Reno, Nevada, “The Biggest Little City in the World” that sits on the eastern edge of the Sierra Nevada, just down the the road from Lake Tahoe. What’s that mean for attendees? 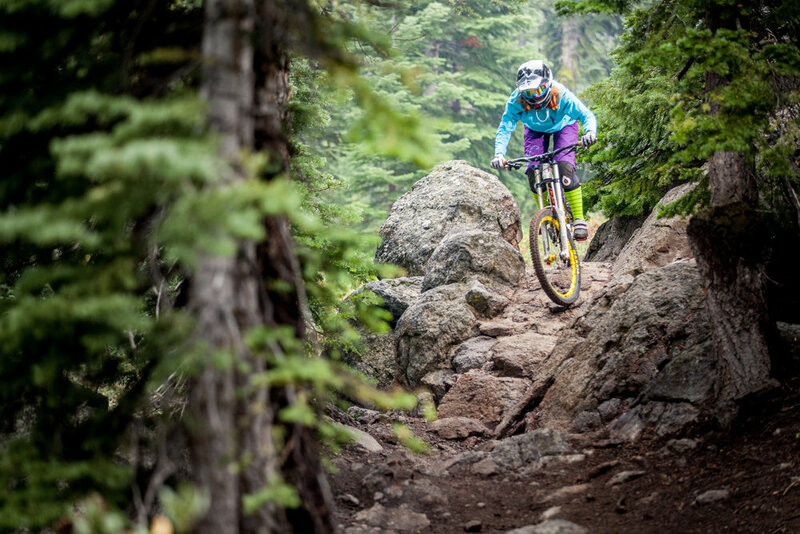 Fair weather, lower food and housing costs, closer proximity to top-notch riding, and a bigger welcome from the locals. What’s more, the show format has been revamped to include a consumer festival, a day and a half of lift-served demo time at Northstar, and a three-day trade show with bolstered educational offerings. We sat down with Interbike Show Director Pat Hus to get the scoop on the reinvented Interbike, and why it promises to be the best industry show in recent memory. How will Interbike 2018 be different, now that it's leaving Vegas? When you arrive in our new home in Reno-Tahoe, you’re going to feel a difference from the city and its people, and the way they welcome our industry. We’ve never had that; we’ve always been just another blip on the radar in Vegas. 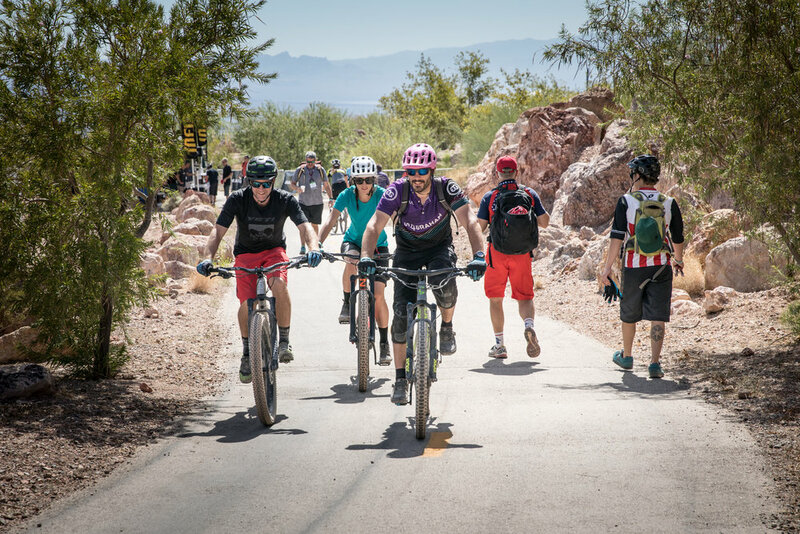 That’s not a knock on Vegas, but that city hosts hundreds of conferences and trade shows every year, and Interbike is just one more trade show on their list. We’re really excited about coming into a smaller community that’s going to make us a priority. I can’t begin to tell you how excited Reno is that we’re coming. This was a really big feather in their cap, and the hotels, the CVB and the local cycling community are all very excited. I think people are going to sense it the minute they step off the plane, and locals are embracing the bike industry. 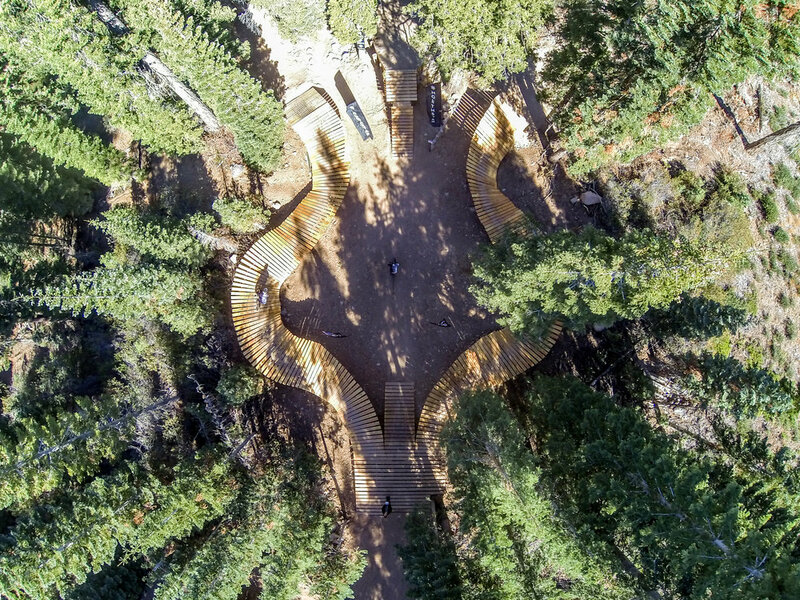 The iconic Flume Trail offers sweeping—if dizzying—views over Lake Tahoe. What set Reno-Tahoe apart from other top contenders? Reno-Tahoe checked all the boxes for us. We’re hearing from brands that they want direct engagement with consumers, so we wanted to incorporate that to add value for the key brands. 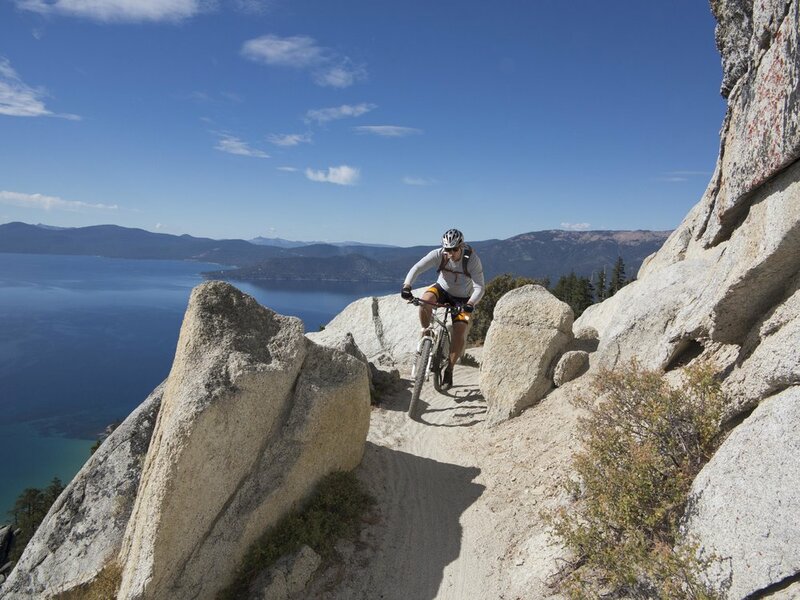 Tahoe has ideal weather, they have the Northstar Resort, it’s easy to get to (just 35 minutes by car from downtown and the airport) and they were excited to partner with us on a consumer festival, so it just made sense. And Reno really wanted to invest with us, and make it a meaningful event for our industry. They’ve got a beautiful convention center, the city is thriving, and it’s got great access to the outdoors. Because of all that, the city has really evolved over the past decade and it’s becoming a thriving, hip place that’s full of vitality. What makes Reno-Tahoe attractive from a business perspective? It’s going to allow people to save a couple bucks, because everyone’s watching their dollars and cents. Vegas is a great place—with great restaurants and wonderful entertainment options—but it’s expensive. In Reno, it’s back to real-life pricing. It’s affordable, and I think that’s where people are going to see the benefits of a smaller town and the environment that we’re working in. The other thing we like is that we’re able to make the show indoor-outdoor; we’re going to have a robust test track outside, with food and entertainment. We’ll have the Yuba Cargo Bike Championships outside, too. We tried to create an indoor-outdoor experience in Vegas, but it was just too darn hot! And from a cycling perspective? Once you’re there, you get to ride your bike, plain and simple. That fact alone is a big change from Vegas. There will be road rides that leave from the Convention Center supported by key companies; there will be mountain bike rides, gravel rides, e-bike rides—whatever your flavor is, we’ll have it. You’ll be able to get outside and enjoy great riding in phenomenal weather, then come inside and work the show. It goes without saying, but the consumer festival and Outdoor Demo will have epic riding, because we’ll have chairlift access for our first time ever. We really want people to bring their bikes, so we’ve partnered with BikeFlights. We want you to go out and ride in the morning, whether it’s for a fun ride or even to commute from your hotel to the convention center. We’re going to have a big bike parking area for the first time ever, because we weren’t about to go riding on the Vegas Strip. Just 2.5 miles north of the convention center and one mile outside of downtown, there’s an area called Peavine that has nearly 40 miles of nice singletrack for our mountain bike rides. Also, the city is about to pull the trigger on a bike share program that will be ready by May 2018, with plenty of time to iron out the kinks before Interbike. Walk us through the show's schedule. We’re calling it Interbike Marketweek, because the consumer-based Northstar Free-Ride Festival kicks off Friday night, and we don’t conclude the trade show until the following Thursday, making it a full week of cycling. 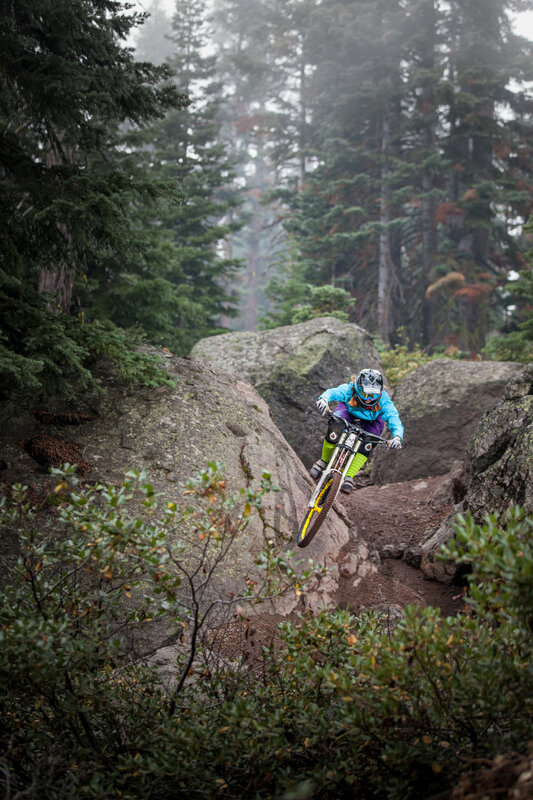 • Northstar Free-Ride Festival (Sept. 14-16)—Northstar will produce and manage the Free-Ride Festival on Friday, Saturday and Sunday, which will include races, a beer festival, live music in Northstar Village, kids rodeos and bike clinics. • OutDoor Demo (Sept. 16-17)—When consumers start to head home on Sunday afternoon, we’ll begin shuttling retailers up to Northstar from the airport and hotels, and the OutDoor Demo will kick into full gear. It’s a half-day Sunday with a dealer reception Sunday night, then Monday is OutDoor Demo from 8am to 6pm with full lift access (a badge gets you on the lifts for free). We rented the entire Northstar Village, so there are great food options right there on the mountain, and you can sit by a fire pit and have a beer at the end of the day. It’s pretty badass, and going to be so different from what we’ve had in the past. Unlike Bootleg, people are going to want to hang ot at the end of the day. To give you an idea of some of the other engagements that we’re doing out at Northstar, there’s going to be a gravel triathlon on Sunday, there will be a fondo-style road ride Sunday morning—Stetina’s Sierra Prospect—by the same guys who put on Levi’s Gran Fondo, and there will likely be some kind of e-mountain competition, since we’re securing access at Northstar for electric mountain bikes. • Interbike Trade Show (Sept. 18-20)—Then we shift the focus down to the trade show on Monday night and Tuesday morning. We’ve changed a lot of stuff about the show itself, including pushing back the show opening until 10am, because we really want our attendees to benefit from the education component. Is education a big focus for 2018? Yes, we’re investing bigger in education this year, and revamping our offerings. Successful past programs—including our Fit Symposium and a half-day session with the Mann Group—will return, but two big new things we’re doing are 1) bringing some of the graduate-level educational content from our highly successful IBD Summit to the Interbike trade show, where it’ll be available to all attendees for FREE, and 2) adding a Retail by Retailers track of panel discussions. The IBD Summit portion is from professional keynote speakers who are experts in particular topics, but Retail by Retailers will be people from our industry talking about successes, and sharing ideas for overcoming the many small and big challenges we face individually and as an industry. Of course, we’ll also have tech clinics with the brands, and the PBMA is launching its mechanic certification—the in-person part, anyway—at the show, which we’re very excited about. I think one of the top reasons a lot of retailers come to Interbike is to learn and engage and grow, and we’re doing everything we can to make our educational platform more robust, so that’s a big focus this year. With so many manufacturers hosting their own private events, and the product cycle no longer lining up so neatly with show dates, what's the chief value proposition of Interbike for independent retailers? Trek, Specialized, Cannondale and QBP are mimicking a lot of what we’re doing with education and everything else, and they’ve become a competitor. But we offer the next level of brands a distinct opportunity to talk to Trek’s and Specialized’s dealers, because they’re going to be at Interbike. And many of those dealers carry other brands in their stores, too, and those brands are going to be at Interbike. So we offer other things that you can’t get at those private events. In my opinion, there’s a lot of dealer fatigue over going to all these private events. If you ask dealers, they’d rather go to one event; they’d rather Trek and Specialized come to our show. It’s important to remember, too, that while the big brands have moved the bicycle production cycle earlier, we still have thousands of other brands at the show that are launching new, innovative products at Interbike. If you’re a retailer who wants to have product that differentiates you from competitors in your local market, there’s no better way to find it than by walking the aisles at Interbike.